Every turkey hunter dreams of breaking daylight on opening day to a hillside full of gobbling turkeys. This dream is what keeps them up at night and gives them hope as they endure the doldrums of winter. When opening day does in fact arrive, most hunters simply have to decide which turkey to go to, but for public land hunters, the scene is much different. They have to navigate a sea of fellow hunters who, like them, have counted down the days until the opening morning and have equal vigor in setting up on a gobbling turkey. Opening day in many areas can be a log jam of muddy trucks, giving the networks of dirt roads that traverse public land areas the appearance of the Talladega 500. Tempers can flare, and many opening mornings end on a sour note for hunters on public land. After the first week, turkeys on public land are as fidgety as a missile site security guard on a Red Bull binge. 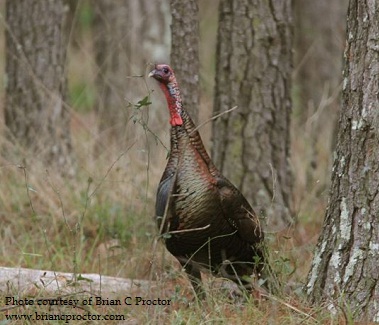 They have heard virtually every call known to man, and have been bumped by seemingly every turkey in the woods. While many of their less intelligent brethren are in the freezer, the turkeys that remain have become professors in dealing with hunters. They change up their routines out of necessity, and are less vocal than they were before the season began. Hunters must change accordingly, and few novices are successful. The key to the treasure chest is handed over to the turkey hunter who knows how to adapt to the pressured turkeys he now faces. Harold Knight of Cadiz, Kentucky is a 50-plus year veteran of the spring woods who, despite having numerous private land opportunities at his disposal, still enjoys the challenge of hunting pressured turkeys on the public land near his hometown. Knight first began hunting the Land Between the Lakes in the late 1950’s, and still hunts the popular public hunting area, in addition to Fort Campbell. Knight, an excellent caller and woodsman who has firmly entrenched himself among turkey hunting’s elite group, says that hunting these areas presents a real challenge and is a different animal than hunting private land turkeys. “There is no doubt that hunting an Eastern wild turkey on public ground is completely different ball game than hunting them on private ground. You really have to be on your ‘A game,’ because we have a lot of out of state hunters that come down, in addition to our local hunters, and there are some really good turkey hunters that hit up these areas,” says Knight. Unlike hunters who break daylight on private ground, and likely know every tree within their properties’ boundaries, public land hunters typically have to adjust on the fly. They often show up at their desired spot, only to find another truck parked at the gate, forcing them to go elsewhere. Many times, they are going to a new area they have not pre-season scouted, and lack the intimate knowledge of these areas. As was noted in Rex Reynolds’ article “Key Elements to Success: Smart Phone Technology,” the wonders of smart phone technology give public land hunters a way to mediate the problem of traversing foreign timber. With mapping apps such as Google Maps and Turkey Scouter, hunters can get a reasonable feel for the area they are hunting. Regardless of whether you hunt public land or land you have hunted since you were knee-high to a grasshopper, we would advise utilizing these apps this spring. When hunting public land, or even private ground, you must always be cognizant of safety. Remember that you are not the only hunter in the woods, and never let your guard down. We realize, as much as anyone, that turkey hunting is an emotional sport, but you simply cannot let your guard down and allow an accident occur. Avoid using gobbler calls that may attract other hunters, and refrain from “walking and calling,” as this may cause another hunter to mistake you for a group of approaching turkeys. Just as you are taught to be a defensive driver, so must you be a defensive hunter. Always indentify your target, and wear hunter orange when moving or toting a gobbler out of the woods.